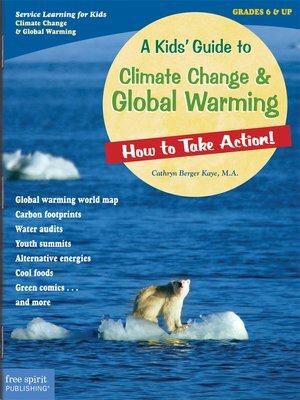 A Kids' Guide to Climate Change & Global Warming · How to Take Action! Carbon footprints, alternative energies, deforestation, and water conservation are just some of the issues related to climate change and global warming addressed in this book. Kids explore what others in the world have done and what their own community needs, and develop a service project. Includes facts, quotations, real-life examples, write-on pages, resources, and a note to adults.